Peppa Pig: The Family Computer - Mummy Pig is working at home on the family computer but Peppa and George want to play 'Happy Mrs Chicken'. Can Daddy Pig come to the rescue and fix the frozen computer? 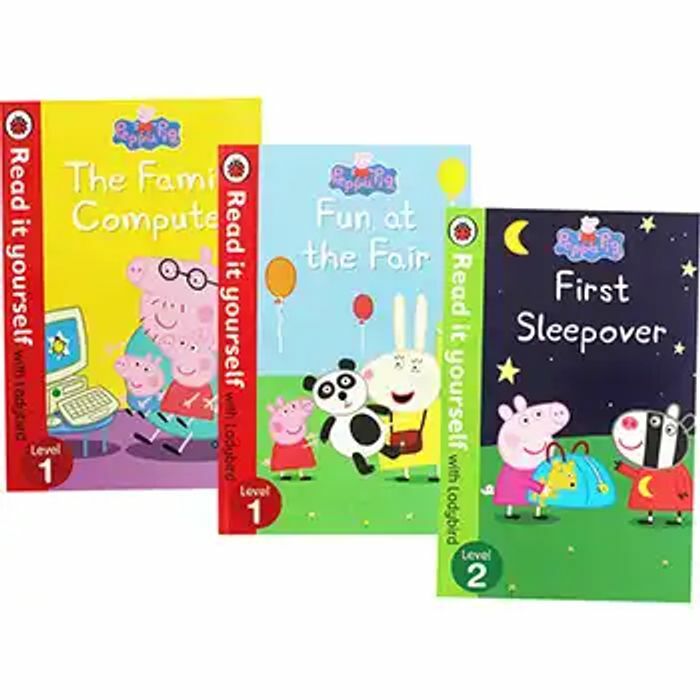 Peppa Pig: First Sleepover - Peppa Pig is going to her very first sleepover at Zoe Zebra's house. The most important thing about a sleepover is that you must not sleep! With music, a midnight feast and a scary story, can Peppa and her friends stay awake? Peppa Pig: Fun At The Fair - Peppa and her family are visiting the funfair. Find out who gets scared on the rides and who wins lots of prizes. Can also buy them individually for £1.50 each.